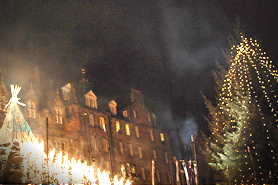 01 December 2011 Edinburgh’s Christmas got off to a bright and brilliant start this year with the tradtitional lighting of the Norwegian Christmas tree on the Mound. 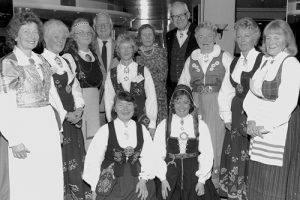 For over a quarter century, the city has enjoyed the gift of a tree from Hordaland County Council in thanks for support given Norway during WWII. 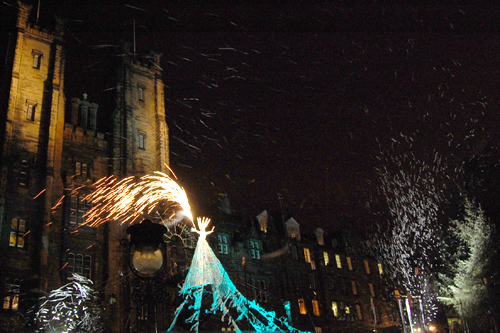 Braving gale force winds, the snow queen cast her magic, delighting the crowds and lighting up the tree. En riktig god jul til alle våre NSA-medlemmer, lesere, og venner verden rundt!